In a bid to tackle global warming, scientists have come up with a new solution which may help slow down the Earth’s rising temperatures. Global warming is a contentious issue among many high-profile figures. However, while the debates surrounding it plough on, the gradual warming of the planet continues. Researchers from Harvard, together with teams from MIT and Princeton, have suggested a method which may help slow down global warming by reducing the effect of the sun’s rays on Earth. 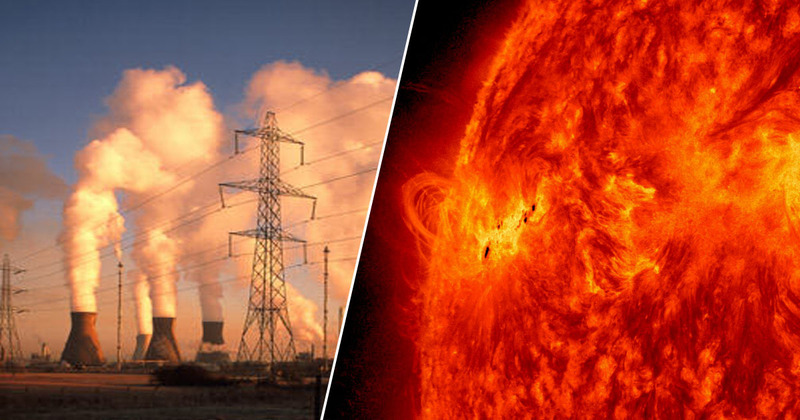 The scientists want to effectively dim the sun, deflecting its light away from our planet, using what’s known as solar geoengineering or solar geotechnics. It works by introducing a number of particles into our atmosphere which would reflect sunlight and angle it away from Earth, according to a study published in Nature Climate Change. It’s important to remember though – this would not be a solution to global warming as it doesn’t affect the real problem, which is the amount of carbon dioxide we’re producing. It could, however, slow down the rising temperatures. On the other hand, too much dimming could also be detrimental. The analogy is not perfect, but solar geoengineering is a little like a drug which treats high blood pressure. An overdose would be harmful, but a well-chosen dose could reduce your risks. Of course, it’s better to not have high blood pressure in the first place, but once you have it, along with making healthier lifestyle choices, it’s worth considering treatments that could lower your risks. With the correct dose of dimming, the study suggests the rate of increasing temperatures could be cut in half, which would benefit the planet without harming it either. Alongside the solar geoengineering, carbon dioxide emissions will still need to be massively reduced. To look at the effects of what they’re proposing, combined with lower carbon dioxide emissions, scientists used a high-resolution model to simulate extreme rainfall and tropical hurricanes in order to study extremes of temperature and precipitation, as well as water availability, in the event of it happening. They found – using their solar geoengineering to halve the rate of global warming – the planet cools everywhere, while changes in water availability and extreme precipitation are also moderated. While the results seem positive, scientists have repeatedly stated the best impact we can have on global warming is to significantly reduce carbon dioxide emissions.